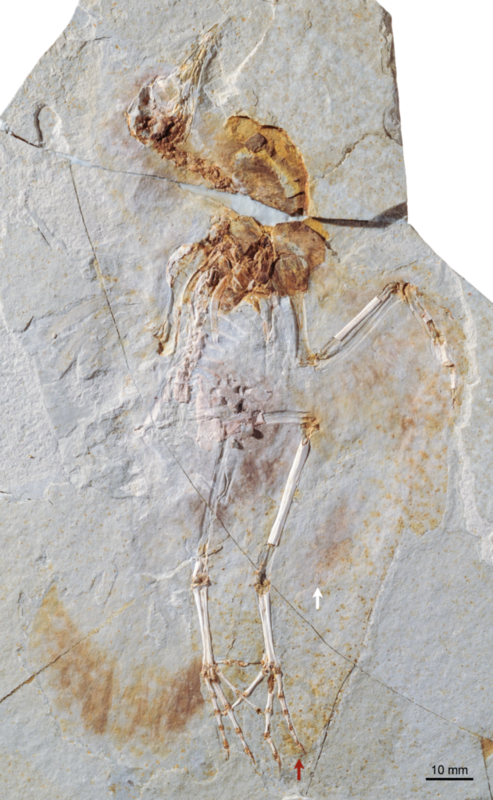 白亜紀前期の鳥類 Hongshanornis longicresta の新標本 - dinopantheons jimdo page! Interpretive drawing of the outline of the wings and feathered tail of DNHM D2945/6 (see Figs. 1 and 3 for the maximum extent of the primaries and secondaries). Photograph of DNHM D2945.Red and white arrows point at the maximum extent of the primary and secondary feathers of the wing. A new specimen of the Early Cretaceous bird Hongshanornis longicresta: insights into the aerodynamics and diet of a basal ornithuromorph.